The Buffet at the Bellagio goes above and beyond all possible expectations to provide the best buffet in Las Vegas. Using inspiration from a wide variety of cuisines, the Buffet chefs create a trip around the world that is as pleasing to the palette as you could ever hope to enjoy. Like most buffets in Las Vegas, the Bellagio offers breakfast, lunch, and dinner services. 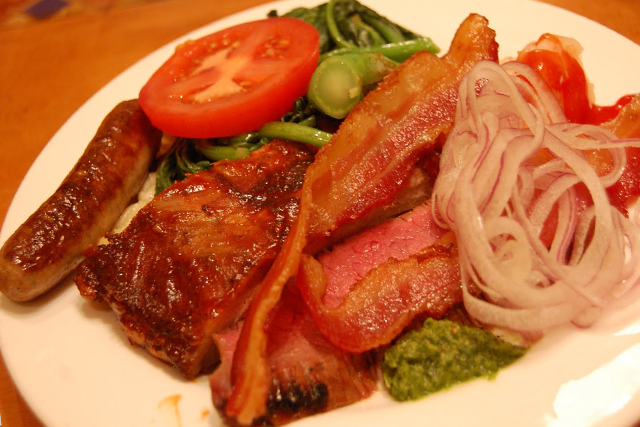 The weekend offers a late dinner service and weekend brunch options on top of the normal weekday fare. You will have a chance to enjoy selections ranging from Chinese dishes to Japanese, Italian, and American home-cooked options. No matter what you choose, whether it is beef, seafood, or vegetarian, you will find something scrumptious and beautifully put together. Rather than having the food in standard warmers, many of the food stations offer live chefs with made to order dishes to ensure that your food is made your way and as fresh as possible. Breakfast: Monday - Friday, 7 a.m. - 11 a.m. Lunch: Monday - Friday, 11 a.m. - 3:30 p.m.
Dinner: Sunday - Thursday, 3:30 p.m. - 10 p.m.
Gourmet Dinner: Friday & Saturday, 3:30 p.m. - 10 p.m. Weekend Brunch: Saturday & Sunday, 7 a.m. - 3:30 p.m. The Buffet was ok, the only issue I had was two of your servers were arguing infront of us on who guest they were. I felt unconfortable and un easy. I eat in Vegas buffets several times per year. Bellagio and Wynn are the best, but Bellagio is less expensive. Selection is top notch and the food quality is superior. I highly recommend you step up from the $15-$20 buffets, it is worth it. long wait. over an hr. 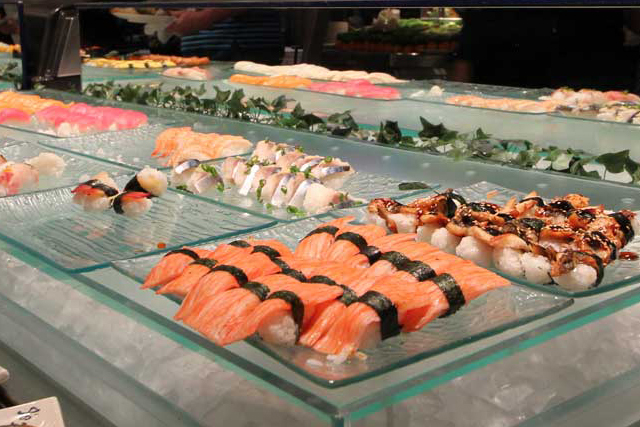 The quality & selection of dishes at the Bellagio buffet are second to none, the staff are so friendly & efficient. Nothing is too much trouble.